Amitabh bachchan rekha affair rumors, It is possibly one of the biggest open secrets of the Indian film industry but Rekha and Amitabh Bachchan's off-screen romance still comes alive every year on October 10 and 11. While the two themselves have said very little, everyone else seems more than certain of the affair. And it is probably the deafening silence that the two celebrities have maintained which adds to the enigma of this complicated relationship. 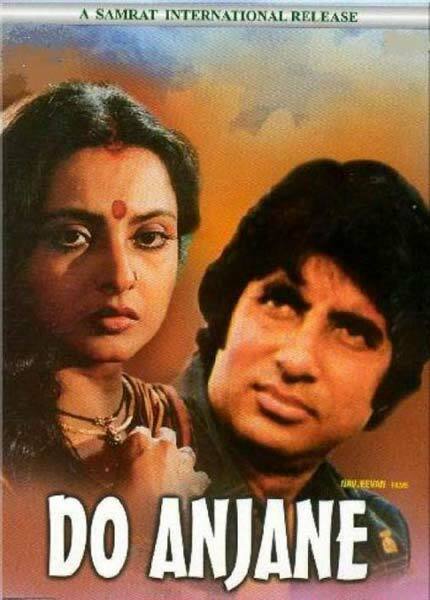 Rekha and Amitabh Bachchan were first cast opposite each other in Do Anjaane, ironically that's what they've become to each other today. Strangers. Only difference being that in the film, it was Rekha's character who wanted to forget Amitabh, while in real life it is the other way round. The story of their romance began to be talked about as they featured in many more films like Khoon Pasina, Suhaag, Muqaddar Ka Sikandar and even the famous Mr Natwarlal. But it was in Yash Chopra's 1984 romance Silsila, that the rumours of their alleged affair peaked. Starring Amitabh Bachchan, Jaya Bachchan and Rekha as the 'other woman', the interesting cast almost seemed to show the stars playing their respective in roles real lives. No wonder then that despite him staying with Jaya Bachchan in the end, it was Amitabh's romance with Rekha that became the most talked-about. Silsila director Yash Chopra was one of the few who openly spoke of Rekha and Amitabh's relationship. 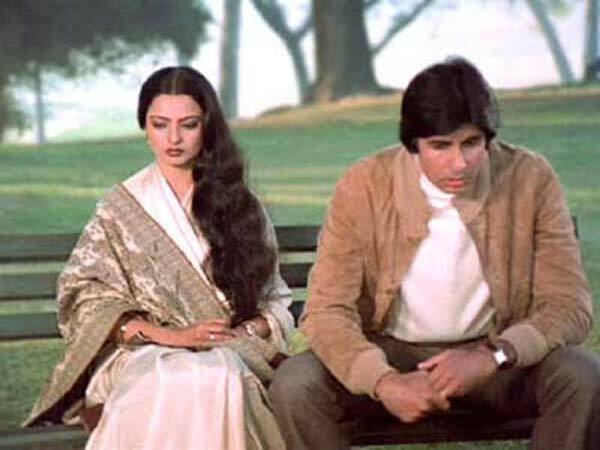 In an interview with BBC, Chopra said that Rekha and Amitabh were very much in a relationship before Silsila. As for himself, the veteran director admitted to constantly being on tenterhooks while filming the three. The atmosphere was evidently tense for all. Once Silsila was completed, Amitabh is said to have ignored Rekha altogether till this date. "Why should he have not done it? He did it to protect his image, his family, his children. I think it is beautiful. I don't care what the public thinks of it. Why should the public know of my love for him or his love for me?" Rekha declared. "I love him he loves me - that's it! I don't care what anybody thinks. If he would have reacted to me like that in private I would have been very disappointed. But has he ever done that? I ask you. So why should I care about what he has said in public. Not that he has 10 rollicking affairs! Mr. Bachchan is still old-fashioned. he doesn't want to hurt anybody. So why hurt his wife?" she exclaimed. "We are human beings who love and accept each other for what we are. There's more happiness in our lives than misery. Nothing else matters. But as long as I'm with that person I don't care," she said with finality. 20 years later, Simi Garewal asked Rekha pointblank, "Did you... fall in love with him (Amitabh)?The answer was prompt. "Absolutely! Duh, that’s a dumb question! I have yet to come across a single man, woman, child who can’t help but fall completely, passionately, insanely, desperately and specially, hopelessly in love with him." 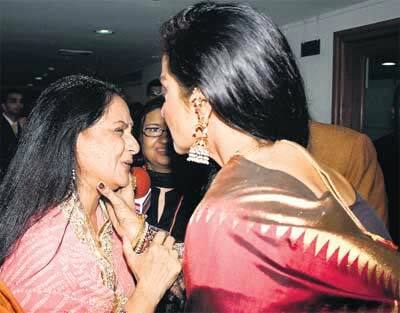 But just a moment later, Rekha said something quite different to Simi: "You want to know the truth? There was never a personal connection with him. That’s the truth." When Simi countered: Why didn’t you just come out and deny it? Rekha's calm reply was: "What do I deny? That I’m not in love with him? Of course I am!" In yet another interview with Filmfare, Rekha got candid with magazine editor Jitesh Pillaai. "I’m just blessed by being born one day apart from him. To be able to understand his interpretation of his craft, character, impulse is nothing short of karmic. The beauty of it is that Amitji is totally oblivious of his power and potential. Look how he relates to his contestants on Kaun Banega Crorepati. Amitji’s upbringing, his character he brings to bear. You just soak in and bask in all that learning. He’s like a textbook. He’s made whatever he touches larger than what it is meant to be. I see him on a daily basis. We get to see the person behind his true to life performances. His constant flow of positive energy, his pure compassion for his fellow country men ensures the fact that he is the true-blue son of India. When Amitji is switched on, it’s not reality TV, it’s real TV"
For all his active presence in films, in the news and even in the realm of social media, this is one topic that Amitabh Bachchan still refuses to comment on.